Students allege they have long suffered at the hands of an inefficient and corrupt administration – with its arbitrary academic rules and the misplacement of funds issued by the state government for student welfare. For the past week, students at the Hidayatullah National Law University (HNLU) have staged an extraordinary series of protests aimed at asserting nothing more than their right to study. On August 27, the Chhattisgarh high court held that the reappointment of professor Sukh Pal Singh as the vice-chancellor of the was invalid. The high court said that the amendment passed by the executive council of the university to raise the age bar from 65 to 70 years was beyond the scope of powers of the council, and in light of several other irregularities that surfaced, declared his appointment to be void. Throughout the course of his tenure, several complaints were levelled against him, ranging from embezzlement to apathy. However, few complaints, if any, were ever formally filed. His removal from office evoked a long-suppressed response from the student body. Several fundamental student demands had been rejected time and again by the administration under Singh. In the immediate aftermath of his removal from office, protests erupted in the university, demanding the authorities give the students what they termed their basic rights. On the night of August 27, the students congregated in front of the campus main gate, and the protest began. Scores of students sat in front of the gate, and the sheer numbers forced the administration to take cognisance of the movement. By consensus, all students decided to conduct their protest in silence. Student spokespersons apprised the gathered authorities — the registrar (in-charge), controller of examination, academic head, wardens and other faculty members — of the context and purpose of the protest, and put forth a list of demands. At this stage, the primary demands were the removal of hostel curfews and appointment of independent wardens. Presently, the teachers also serve as wardens of halls of residence, and their dual role predisposes them to bias, to the detriment of students. The authorities reiterated their stance that it does not fall under their jurisdiction. They even refused to extend in-principle support. The student spokespersons submitted that the strike would continue till a written assurance is tendered by the competent authorities. The faculty then departed from the scene, and the students camped overnight on the road. The protest started attracting crowds from diverse quarters, and the Student Bar Association (SBA) of the university extended its full support to the cause. As meetings were held amongst students, several issues came to the fore, from alleged financial fraud to maladministration to sexual harassment from faculty members. The SBA drafted a revised charter containing a list of 13 demands. The first demand was the appointment of an interim vice-chancellor, to address the pressing concerns being raised. Other demands included the establishment of a review commission, removal of hostel curfews, release of minutes of executive council meetings for administrative transparency, revision and codification of presently uncodified and arbitrary exam rules, commissioning of an SBA constitution, timely organisation of convocation functions, and filling vacancies in several administrative and teaching posts. The next morning, media personnel arrived. The students staged a silent march to the main gate of the academic building, and gave statements and represented to the press the reasons behind their protest and their demands. On a live broadcast, a simultaneous telephonic interview was organised with the ousted VC, Singh. Not only did he refer to himself as the vice-chancellor of the university, he denied having ever received any of the demands before the protest. The students claimed that documents exist, clearly showing his rejection. A mass of students sat peacefully outside the office of the registrar. Later in the day, another meeting was held with the members of the staff, but they swore by their refrain, that they had no authority to give any written assurances. The absence of one of the beleaguered wardens was particularly conspicuous. Calls for her attendance were rejected repeatedly. The meeting disbanded on the note that the staff would fax the charter of demands to the chancellor of the university. On the morning of August 29, a joint statement was issued by all top national law universities expressing their solidarity with the agitating students of HNLU. Over the course of the following days, student associations of several other universities formally expressed their support for the cause of the protestors. Students again confronted the wardens and asked them to explain their arbitrary and excessive actions, which prompted the wardens to storm out of the assembly. It was then learnt that the chancellor had appointed R.S. Sharma, the principal secretary (law), government of Chhattisgarh, as the interim vice-chancellor of the university. The new vice-chancellor of the university chose to immediately address the students. The charter of demands was presented to him, and he agreed to nearly all demands in-principle verbally, and assured students that deliberations will happen over the issues. With regards to the in-timings, while conceding to the demand, he bemoaned the lack of an existing machinery to grant that. The student body has long suffered at the hands of an inefficient and corrupt administration, be it in the form of making arbitrary academic rules, or counts of misplaced funds which were issued by the state government for the welfare of students, thus making it imperative that the student body gets a representation in the EC. On this demand, he reserved his judgement. In turn, however, he had a request of his own to make — he implored the students to resume classes, with a promise to meet again on August 31. As a mark of respect to the new vice-chancellor, the students resumed their classes from August 30, registering their protest by wearing black outfits and bands, and observing two minutes of silence in class. In the evening, the student representatives again met with the vice-chancellor. He agreed to postpone the imminent midterm exams by a week, and gave details regarding the existing corpus fund of the university. Thereafter, a silent flashlight march was held across the campus, to spread the message of light in the most peaceful manner possible, and keep students visible to faculty members. 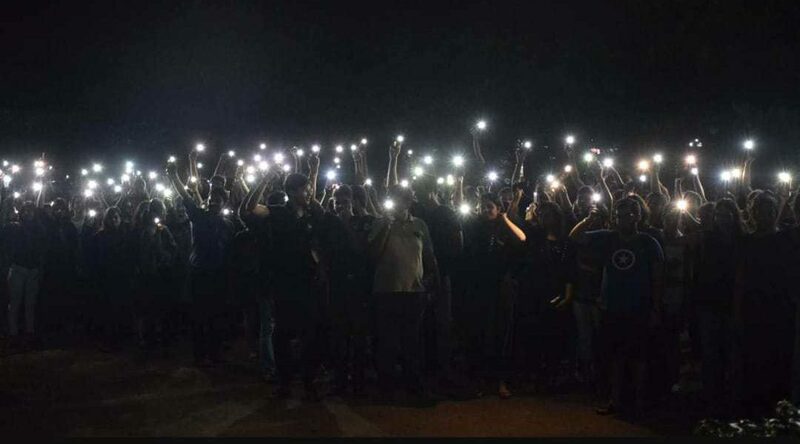 In the general meeting with the vice-chancellor on August 31, Sharma seemed to be under the impression that the flashlight march from the previous day had been a violent mob aiming to intimidate and terrorise the staff. He spoke to a cohort of representatives privately in his chamber, and heard them out patiently. The representatives first clarified to him the nature of the march, and corroborated the same with video clips. The vice-chancellor seemed satisfied, and the tension immediately dissipated. On the sixth day of the protest, the student body organised an encircling off the main academic building by a human chain to symbolically reclaim the campus for themselves. The spirit of revolution carries forward, the students say, insisting they will continue to stay on an indefinite strike till their demands are fulfilled. 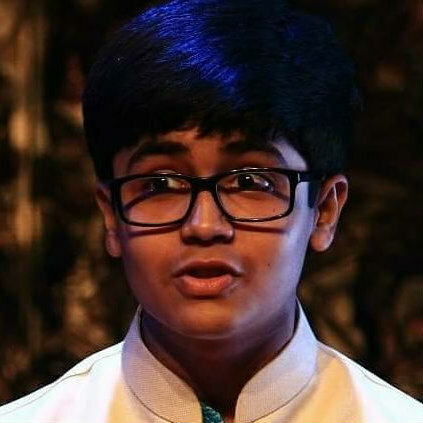 Inan Gupta is a third semester student at HNLU.